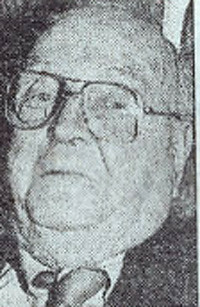 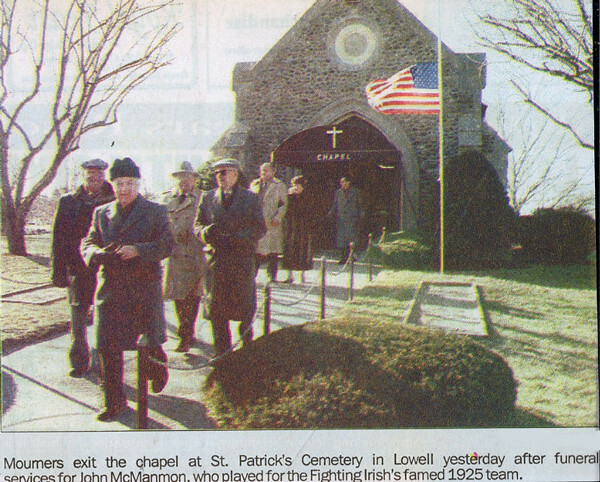 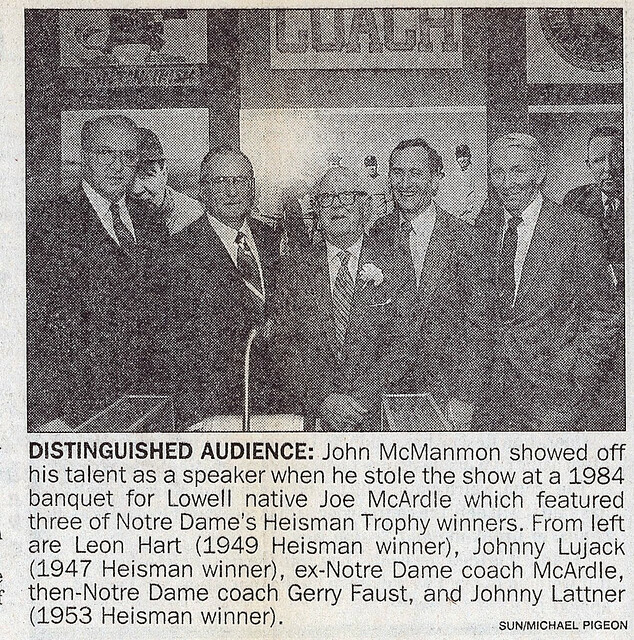 John McManmon starred as a lineman on Lowell High School Football teams from 1921 to 1923, captaining the team his senior year. 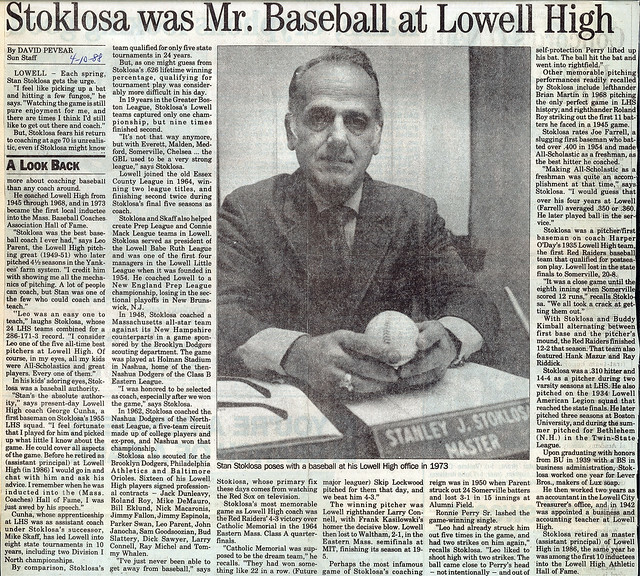 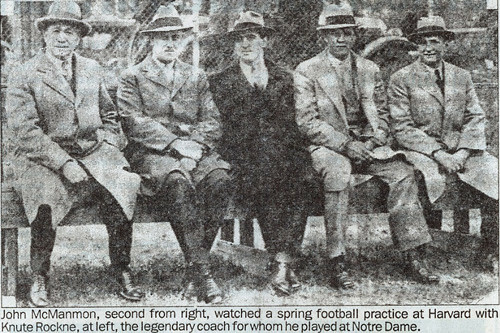 After graduation, he enrolled at Notre Dame University in South Bend, Indiana, where he proceeded to become an integral part of Fighting Irish grid history under the legendary Knute Rockne. 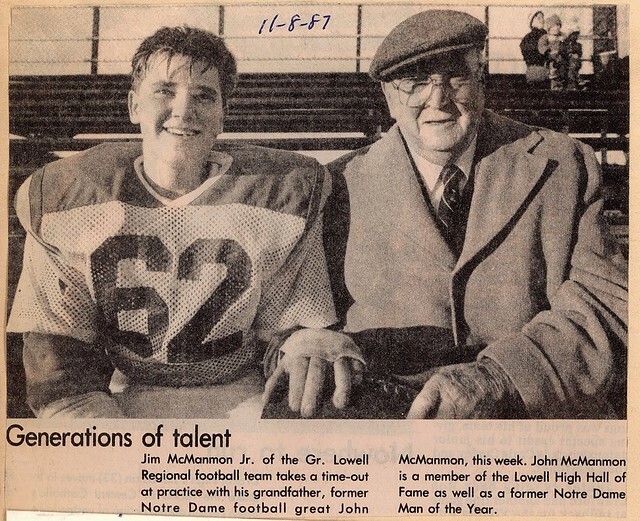 John played three years of varsity football at Notre Dame. 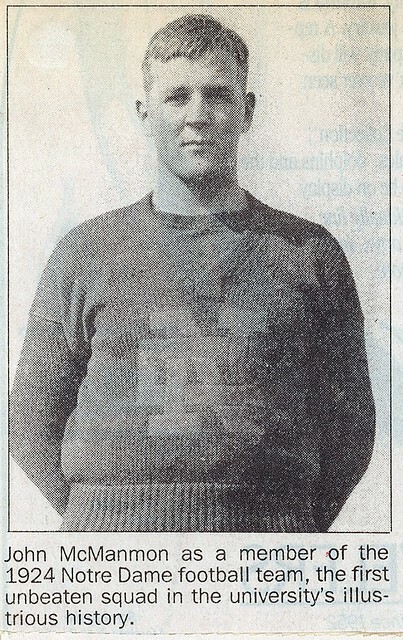 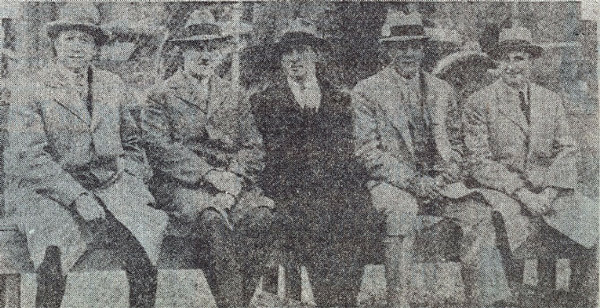 He was a member of the Irish’s National Championship Squad in 1924 and took part in Notre Dames’ first-ever Bowl Game, the 1925 Rose Bowl victory over Stanford. 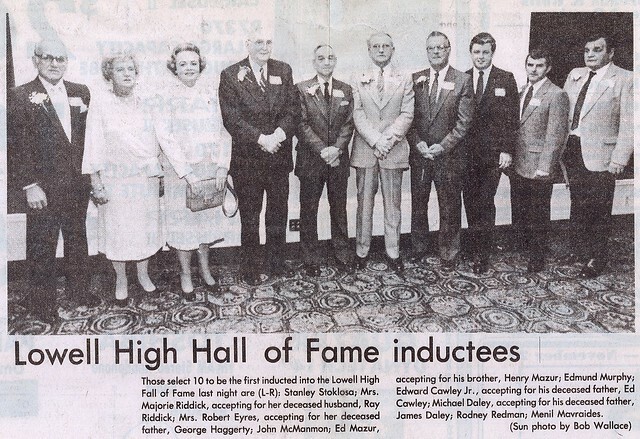 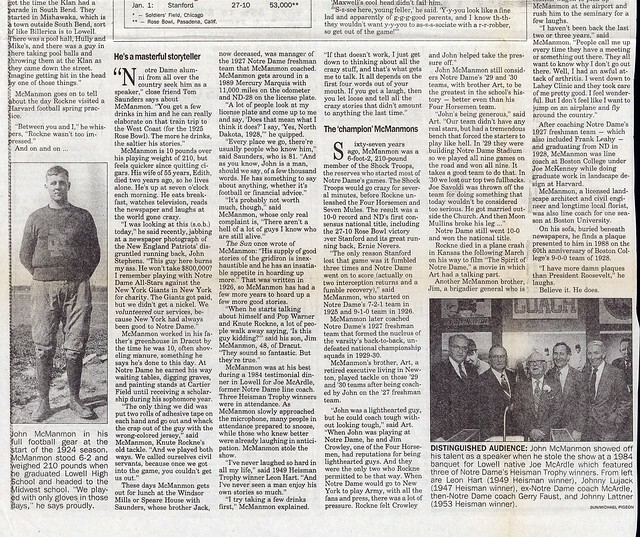 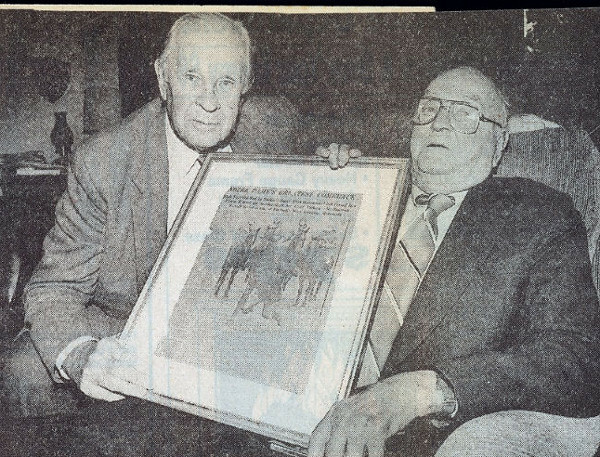 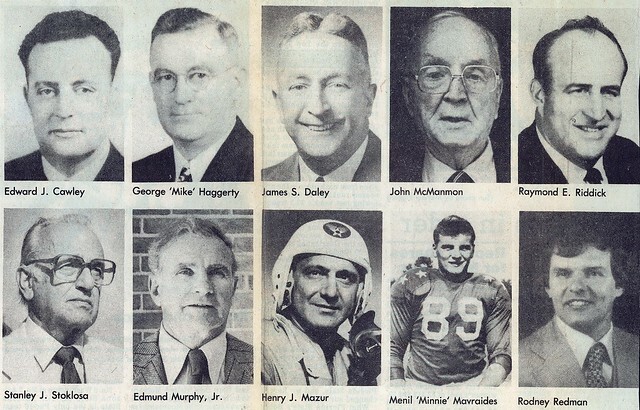 Among McManmon’s legendary teammates were the famed “Four Horsemen”: Stuhldreher, Miller, Layden and Crowley and the “Seven Mules” who blocked for that outstanding backfield. 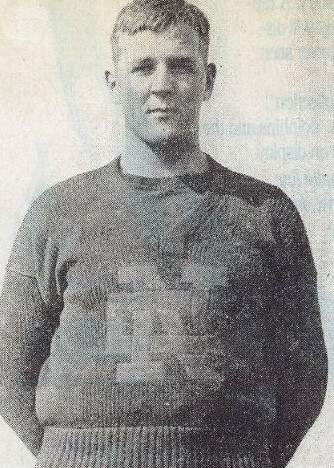 As a tackle, John saw considerable action for that unit. 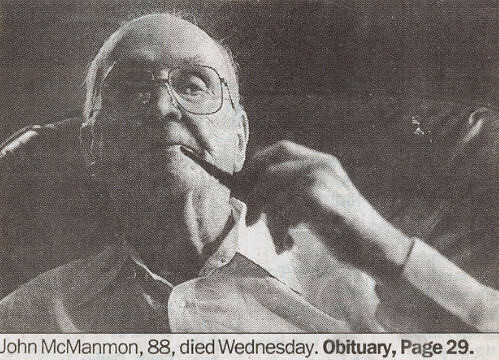 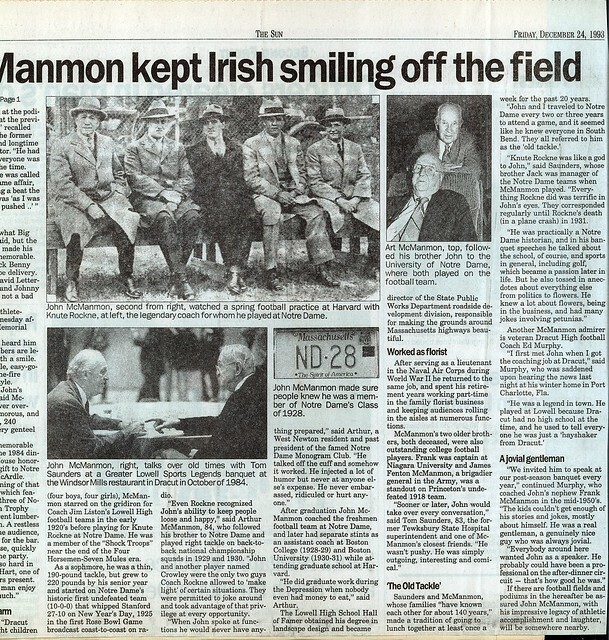 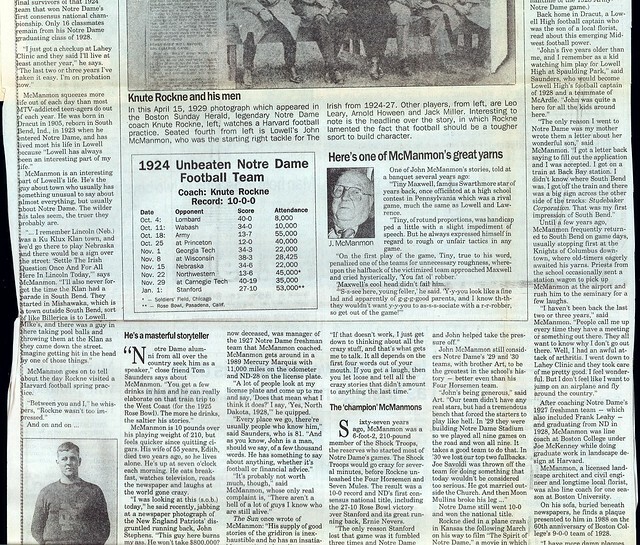 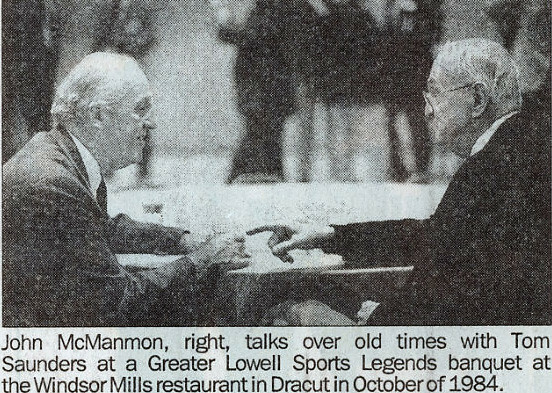 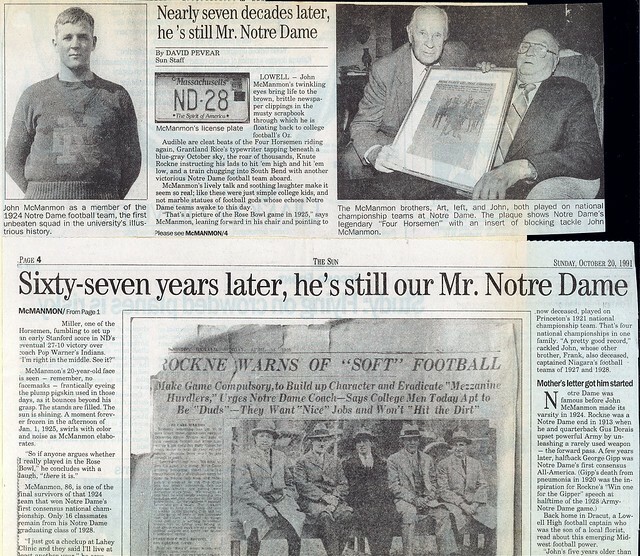 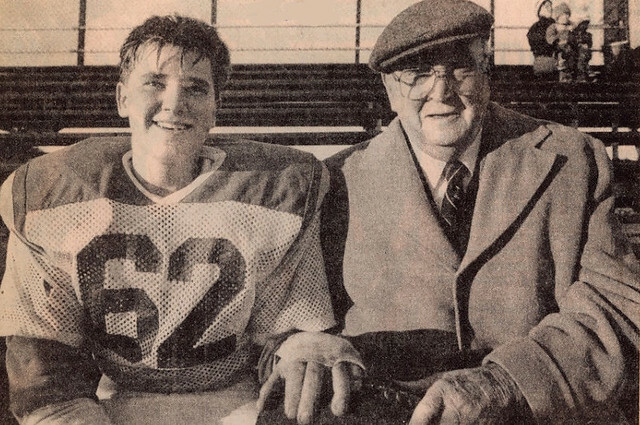 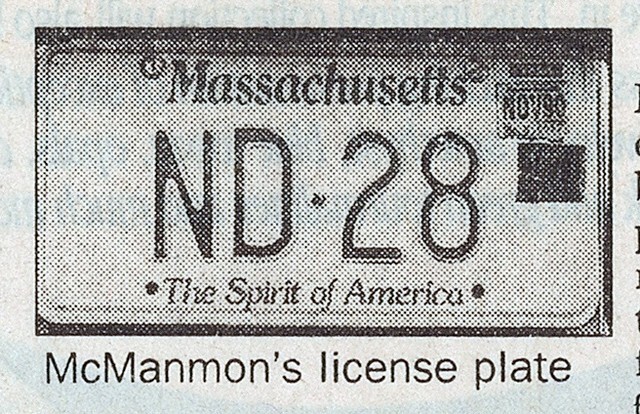 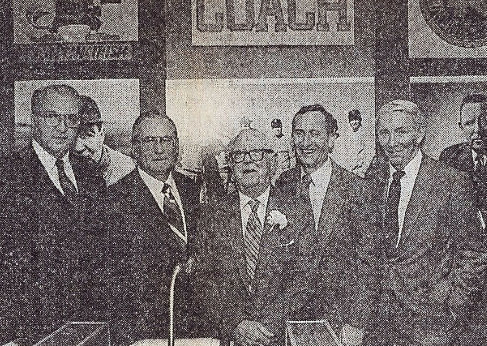 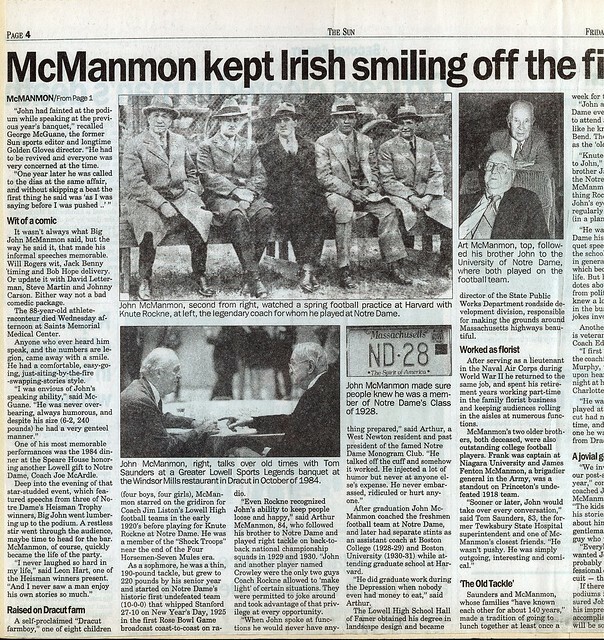 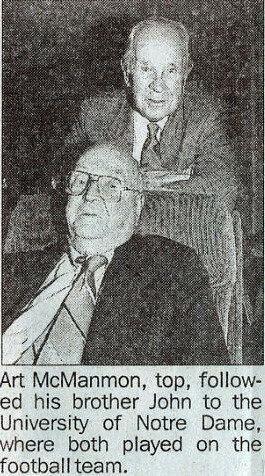 After graduation McManmon enjoyed a brief but successful coaching career at Notre Dame, Boston College, and Boston University John always maintained his close ties to Notre Dame. 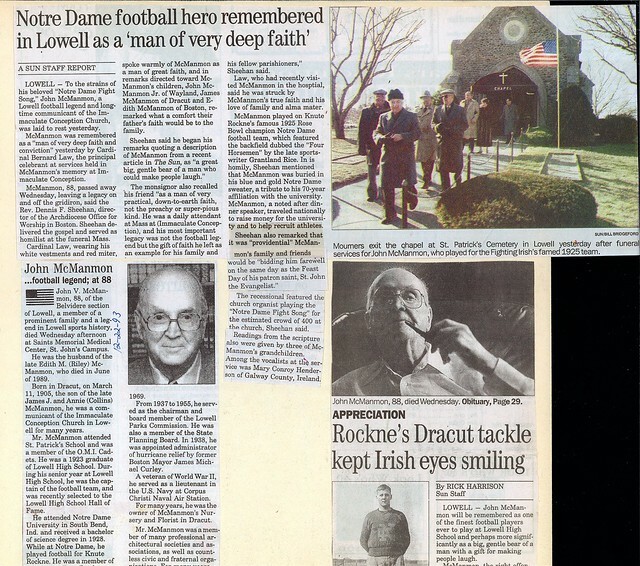 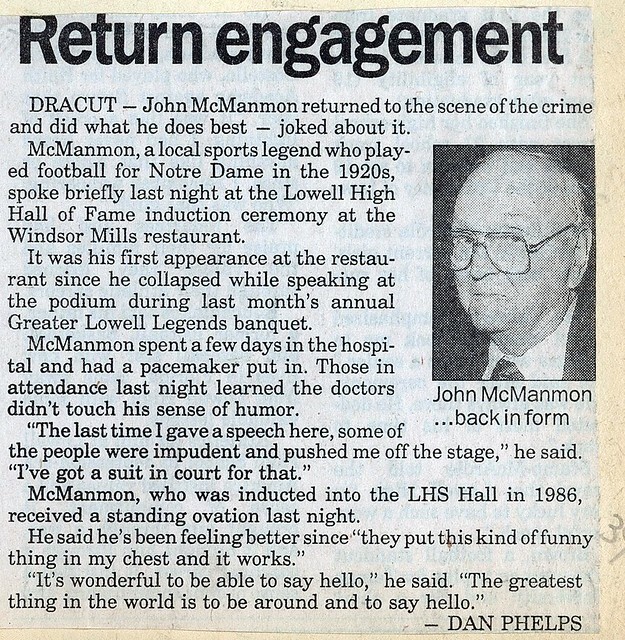 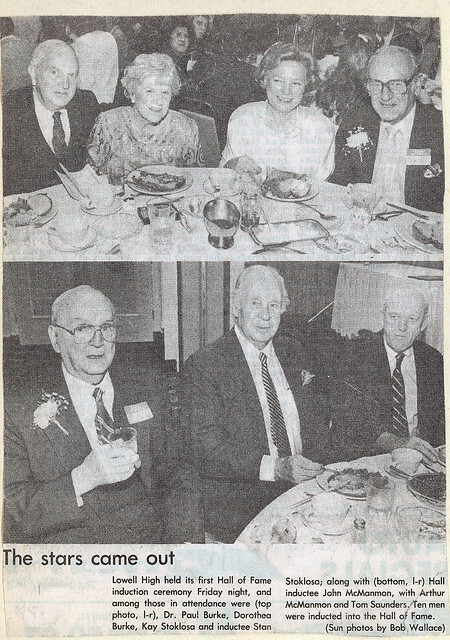 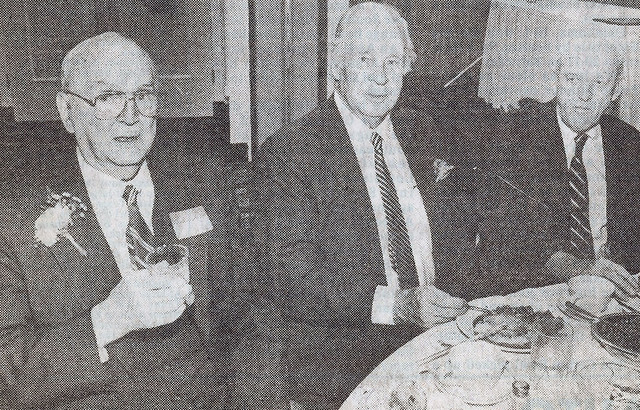 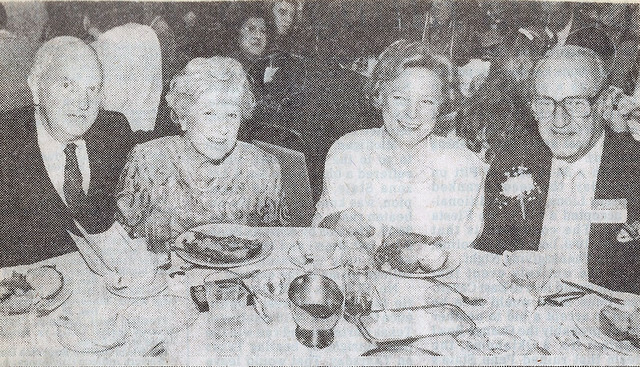 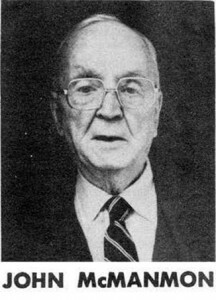 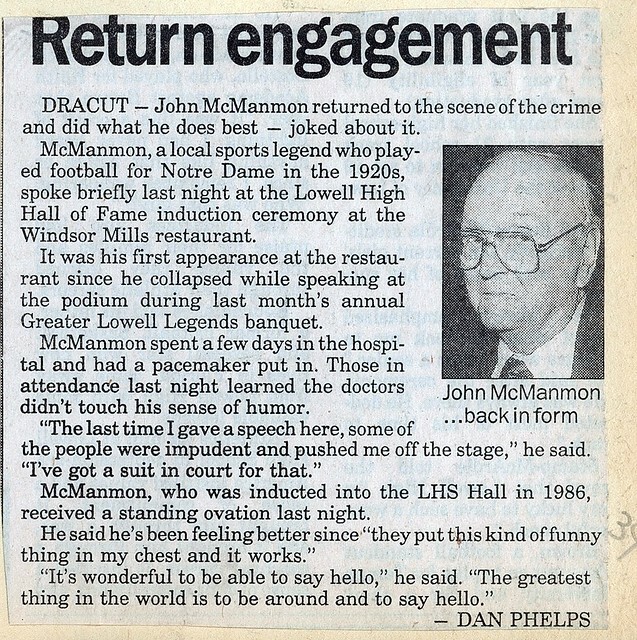 In 1981, Notre Dame acknowledged the scope of John McManmon’s contributions to the University, both as an undergraduate and an alumnus, by presenting him with its prestigious “Man of the Year” award.